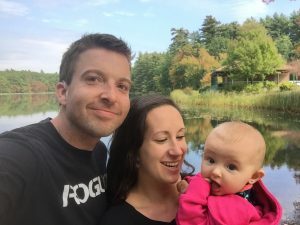 My name is Neil DuPaul (obvs) and I’m a digital marketing professional living in southern New Hampshire with my wife and daughter. My wife, Rayne, is the greatest partner anyone could ask for. We share many hobbies, though most notably and recently is a borderline unhealthy addiction to CrossFit. I am currently a Marketing Technologist at Veracode, a B2B SaaS application security provider based out of Burlington, MA. Previously I spent time at agencies CF Search Marketing and the Altos Group, I also spent a year working for SEO/Affiliate Marketer Rae Hoffman aka Sugarrae.